Mexican chocolate is a popular ingredient in many food and drink recipes but it can be hard to find at times. If you cannot locate it or need a replacement because you ran out, this simple substitute can help and it only requires two common ingredients. Chocolate originated in Mexico and the country continues to export a great deal of the world's chocolate supply. However, what we call Mexican chocolate today is a well-defined style of chocolate. Mexican chocolate often comes in a hard disc or tablet shape. It has a grainier texture than the smooth and soft chocolates that are common in baking. This means that it can be grated and melted down quite easily. Mexican chocolate is also commonly flavored with cinnamon and almond, which gives it a fun spice behind the sweetness. This extra spice works well in two of its most popular uses — Mexican hot chocolate and mole poblano. Other flavors of Mexican chocolate are available, but cinnamon is a traditional ingredient. Ideally, you'll want to have cinnamon and almond extract available to make homemade Mexican chocolate out of semi-sweet chocolate or cocoa powder. If you do not have almond extract, it's not a big deal because a single drop does not make a significant difference. You can either skip it or use a drop of vanilla extract instead. If your recipe already uses vanilla, there should be no need to add more. 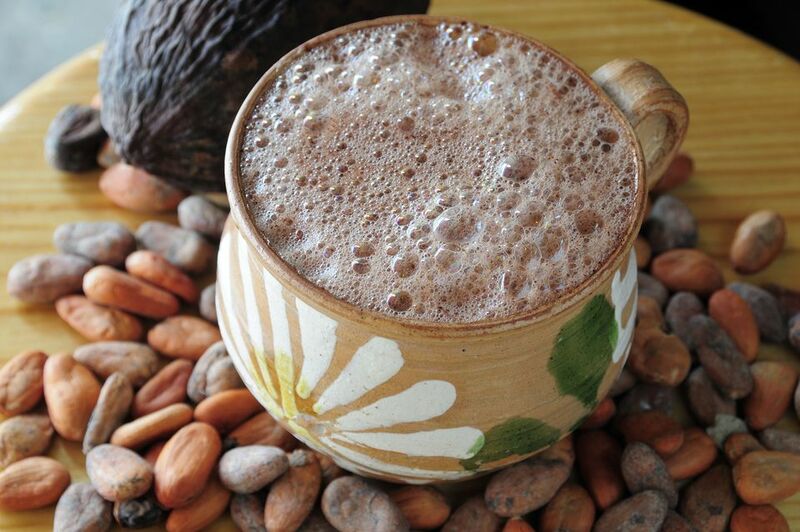 Replace the Mexican chocolate called for in your recipe with an equal amount of semi-sweet chocolate or cocoa powder. Add 1/2 teaspoon of ground cinnamon and, if you like, a drop of almond extract for every ounce of chocolate. The type of chocolate you use is going to depend on the recipe you are making. If your recipe calls for melted or chunks of Mexican chocolate, then semi-sweet chocolate may be the better choice. If you are making hot chocolate or something similar that requires grated or powdered Mexican chocolate, begin with cocoa powder. Mole sauces feature a small amount of chocolate and many recipes call for Mexican chocolate. In this instance, a little cocoa powder and cinnamon make a quick substitute, and should not significantly alter the taste or texture of the overall recipe. Swap in one tablespoon of cocoa powder for every ounce of Mexican chocolate used. Add 1/2 teaspoon of ground cinnamon for each tablespoon of cocoa used. You'll find Mexican chocolate in the Mexican food aisle at many grocery stores. It's typically sold in a hexagonal cardboard box and is often labeled as "drinking chocolate." Abuelita, Ibarra, and Taza are common brands to look for. If you don't find it there, check the coffee or hot cocoa aisle before you give up. You may also have luck at your local international food market or coffee shop. No turbinado sugar? Easily make a substitute!